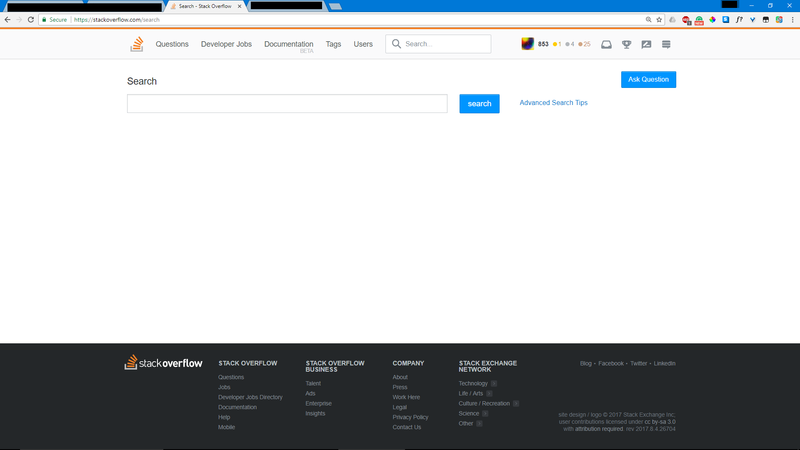 In the Stack Overflow search site (markdown: https://stackoverflow.com/search), and the Meta Stack Overflow search sites are empty. The search page is ~66% white (and ~82% when omitting the footer), the main question list ~72% white (omitting the footer). Although the value looks close, the search page UI looks much emptier. This page looks scary to me (seriously) since it's so empty and guide-less. Should we put something down there? 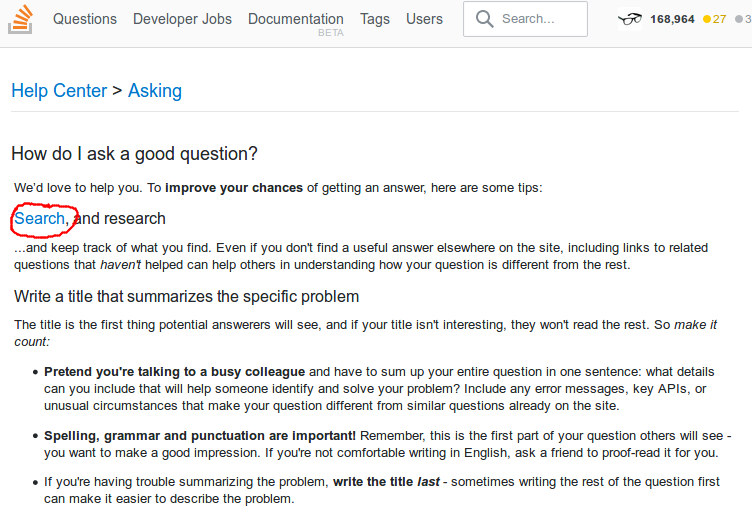 For example, when you type a question, a drop-down box shows similar results. Or alternatively, we can move "Advanced Search Tips" down there. I'm no UI expert, but just some little thoughts. Please also share your opinion on this page. Moderator Cody Gray♦ reminded me that Google (Google.com) also has an empty search page. I think Google's search bar is centered in the page, but there is a huge gap between searcher bar and footer in SO search page. Improving question page is definitely on our radar. Not only that empty state view (which could get some touch of love), but also regular results view. However, it is lower priority for our team at the moment. So for now I'm gonna tag it as status-deferred. Not the answer you're looking for? Browse other questions tagged discussion status-deferred design search .